Publius Ovidius Naso, fondly known as Ovid, died in exile about 2,000 years ago. Since, his most influential work, the Metamorphoses, has served as a source and inspiration to authors and artists from Shakespeare, Chaucer, and Milton to Dante, Boccaccio, and Gian Lorenzo Bernini. Ovid, as portrayed in English poet and colonist George Sandys’ 1632 translation. 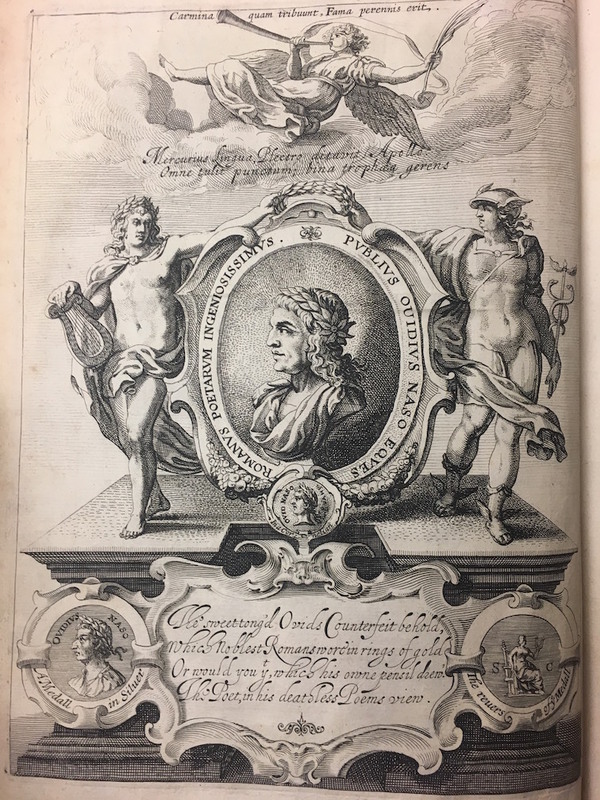 In recognition of Ovid’s 2,000 year legacy, a lecture and reading will be held on March 5 from 4:30-6pm in the Harman Periodicals Reading Area on the lower level of the library. Professor Angeline Chiu of UVM and members of Latin 202 will discuss the transformations of Ovid’s Transformations, and Special Collections will exhibit rare editions of his work, as interpreted by commentators and translators. 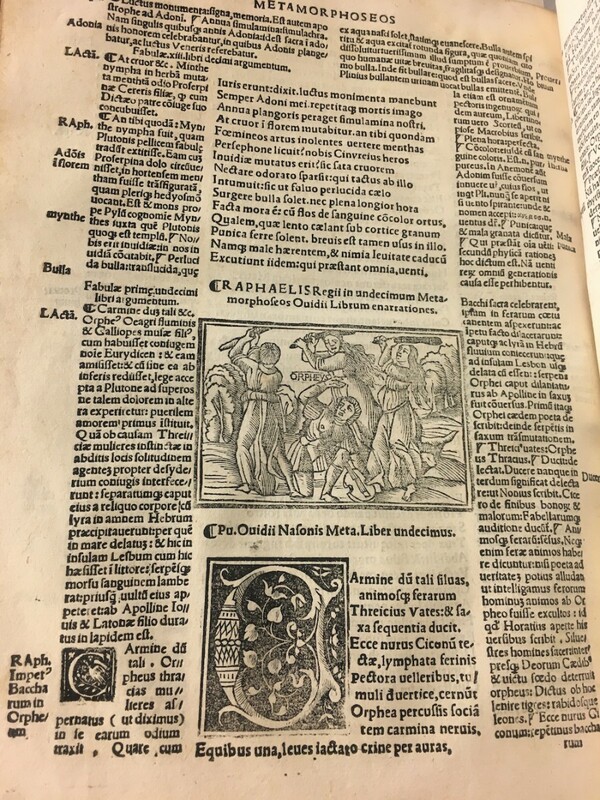 Be sure to see this 1521 edition of Ovid’s Metamorphoses, on display for the event.